This 16 CD set is an outstanding collection of inspirational talks that introduces the life of Prophet Muhammad, the greatest human being to walk the face of the earth. In these talks, Imam Anwar al-Awlaki, author of the best selling series, The Lives of the Prophets, eloquently presents the Makkan period of the Prophet's life in a detailed manner, deriving valuable lessons from it and thus making it relevant to our modern times. 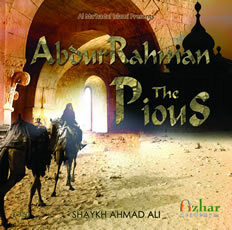 The series is primarily based on Ibn Kathir's book on the Sirah. Some of the topics discussed include: The History of the Kabah, Muhammad in the Bible, The Call to Near Kin, The Islam of Hamzah, The Year of Grief, Lessons from the Trip to al-Taif and much more. This set of lectures is the third and last part of ?The Life of Muhammad (saaws)?. This set covers the last five years of the life of the Messenger of Allah, Muhammad (saaws) from the fifth year of Hijra to the tenth. 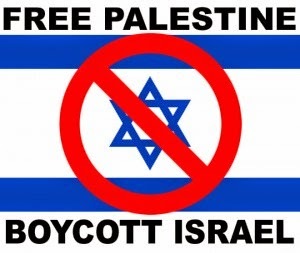 It includes the important events of the truce of Hudaybiyyah, the battle of Khaibar, the battle of Mu?tah, the conquest of Makkah, the battle of Hunain, the battle of Tabuk and finally the passing away of the seal of the Prophets. This series of lectures covers the different aspects of the life of Abu Bakr (R.A.), including his life before Islam, during the life of the Prophet Muhammad (P.B.U.H. ), and finally during his Khalifah. A lecture concerning the great companion Sayyiduna 'Abdur Rahman Ibn 'Awf, may Allah be pleased with him. He lead a life of piety, was amongst the first to embrace Islam, one of the ten promised paradise, participated in Badr, and was given the task of appointing the thrid caliph of Islaam. A lecture concerning the great companion Sayyiduna Abu 'Ubaidah Ibn Al-Jarrah, may Allah be pleased with him. 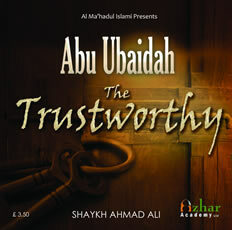 "The Trustworth of my Ummah" - The Prophet (SAWS). He was promised paradise, amongst the first to embrace Islaam, and was appointed General over the Muslim army by 'Umar Ibn Al-Khattab (RA). A lecture concerning the great companion Sayyiduna Talha Ibn 'Ubaydullah, may Allah be pleased with him. "The Walking Martyr", famous for his exceptional performance at the battle of Uhud, as well as being one of the first to embrace Islaam he was promised Paradise. A lecture concerning the great companion Sayyiduna Hamza ibn Abd al-Muttalib, may Allah be pleased with him. Hamza ibn ‘Abd al-Muttalib was the uncle of the Prophet (SAW), Muhammad. He and Muhammad (SAW) were raised together as they were almost the same age.Hamza was known as Lion of God. Among the champions of early Islam, few have rivaled his reputation in battle. He was martyred at the Battle of Uhud by the Abyssinian slave Wahshy ibn Harb. A lecture concerning the great companion Sayyiduna Mus'ab ibn 'Umair, may Allah be pleased with him. Mus'ab as the most charming of the Makkans, the most handsome and youthful,the flower of the Quraish! He was born and brought up in wealth, grew up with its luxuries, pampered by his parents, the talk of the ladies of Makkah, the jewel of its clubs and assemblies.He was from the branch Banu ‘Abd al-Dar of the tribe of Quraish. He died in the Battle of Uhud. He is said to be the first envoy of Islam. This set is a introduction into the lifes of some of the greatest warriors in the history of the world. Muslims living today should know about the Great Heroes of Islam and these lectures are an excellent way to introduce us to these Great Heroes of Islam. We all need role models and who better to be our role models than the people who sacrificed there families, wealth and lives to honour this deen. It is the sacrifies of such men that the deen came to us today and unless we follow there example how will the deen continue down to the generations to come insha'allah. "And what is the matter with you, that you fight not in the cause of Allaah..." In the lecture Anwar Al-Awlaki gives the audience a much needed reminder, using the Qur’aan and Hadeeth, to give a solution to the humiliated Ummah. Reminding us that “our honour is in our religion” and so we should return to it, if we wish to see the return of al Islaam. Imam Anwar Al-Awlaki delivered this lecture entitled "State of the Ummah" on 1st March 2009 via Teleconference to our brothers and sisters in Pakistan. 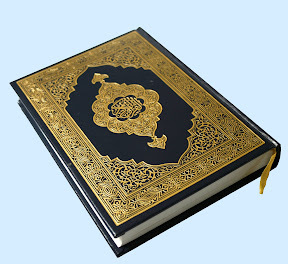 Allah has exalted man through knowledge and through it he becomes closer to Allah. The speaker discusses the necessity of knowledge and its types. He talks about the status and superiority of those who have knowledge and the importance of having the correct intention for seeking it. Alhamdhulillah,,,, great attempt.... thanq to every one who worked in it. MashaAllah, May Allah Subhana wa ta'ala reward u here and hereafter. Why have you not mentioned Ali, Who took the prophet's place in his bed during the night of Hijra, who was the hero of all the battles, Who was the Prophet's cousin and successor. Why?